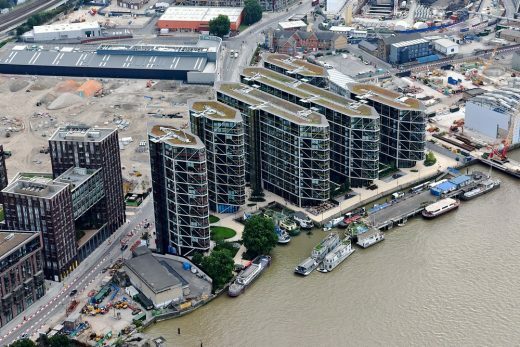 Exclusive imagery of the Battersea Embankment development and various major properties along the River Thames has been created as part of a larger campaign snapping some of London’s most exclusive properties and construction projects along the UK capital’s river. Battersea is one step close to having its first Tube station after TfL applied for powers to build and run an extension of the Northern line. The scheme would create one new stop at Battersea Power Station and another on Wandsworth Road (close to Sainsbury’s). A new stretch of tunnel would link to the rest of the line at Kennington. If the Tube link goes ahead travel to the West End and the City would be cut to 15 minutes from the Battersea area. If planning powers are obtained from the Government, and a funding package is in place, then construction of the Northern line extension could begin in 2015 with the two new stations opening in 2020. Detailed plans for the first phase of the Battersea Power Station redevelopment were approved by Wandsworth Council’s planning applications committee. The ruling means that the site’s new owners can proceed with the first part of the £8bn masterplan. Work is expected to start in 2013.